Fontanini 5 inch scale stable. 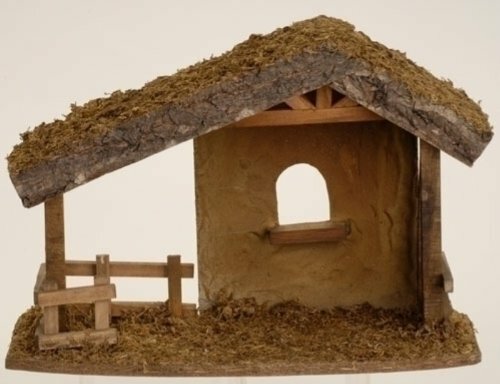 The stable is 10 inches high, 13 inches wide and 5.75 inches deep. It is a great addition to any nativity set. Make sure to check out other 5 inch scale Fontanini nativity pieces. 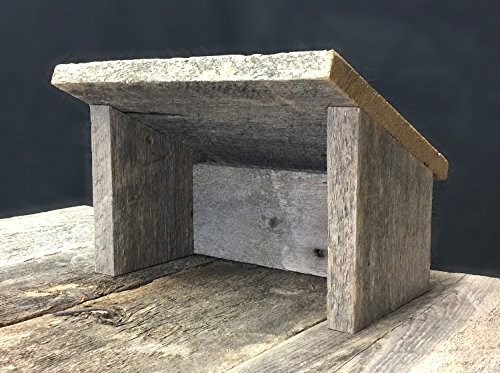 **DETAILS** Rustic nativity stable made from antique barn wood! Add an authentic look to your nativity scene this year. Handcrafted from old growth tamarack that was salvaged from a corn crib in Northern Minnesota. 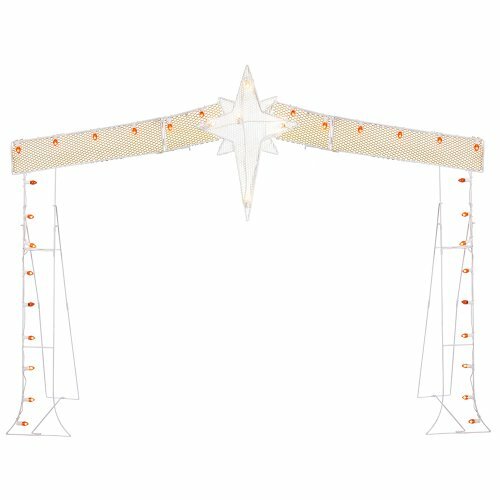 **DIMENSIONS** Stable sizing is 12"(W) x 10"(H) x 10"(D) Figurines are 6.5"(H) (*display only*) Straw mat pictured is 24"(W) x 24"(L) (*available separately*) **OPTIONS** Light string is available separately, 5 ft. length with 30 LED lights and 6 hr. timer. Straw mat is available separately and sold in two sizes. Figurines are for display and not included. Custom sizing is available by request. **SHIPPING** Your item will be shipped by USPS. Delivery time within the US lower 48 takes 2-3 days including Saturdays! 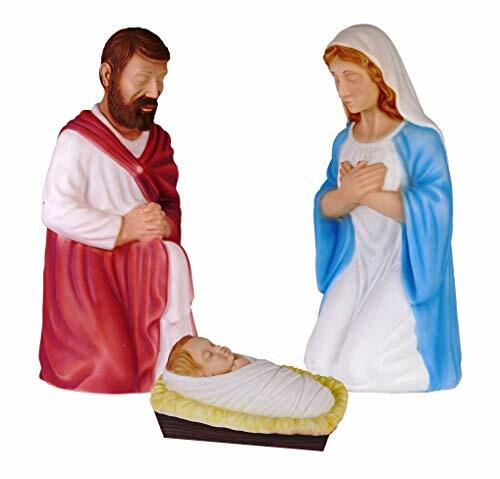 This lighted blow mold Nativity Collection Joseph, Mary and Baby Jesus from General Foam will make a great addition to your holiday décor! This product is made of durable polyresin and is built for indoor or outdoor use. During the day, the figures' pearlized finish adds a subtle glow that enhances the appearance of Jesus, Mary and Joseph. At night the nativity scene illuminates to create added interest in your holiday display. This collection looks great placed on a front porch or in your yard. This nativity scene works wonderfully for indoor decoration as well. 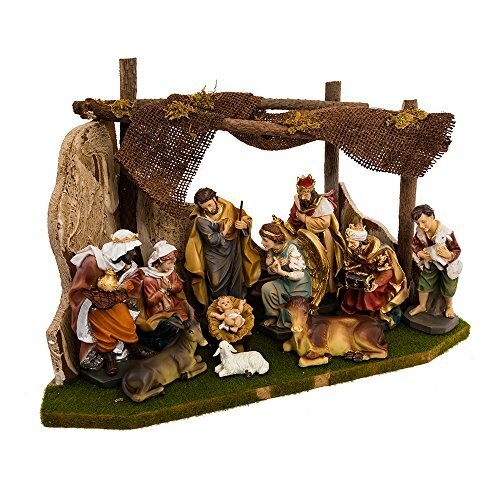 Made in America, this General Foam plastic blow mold nativity scene will surely light up your holidays for years to come. Baby Jesus lights up with type C7 bulb and 3-foot power cord (bulb included for your convenience) and Joseph and Mary light up with type A bulbs and a 4-foot power cord. 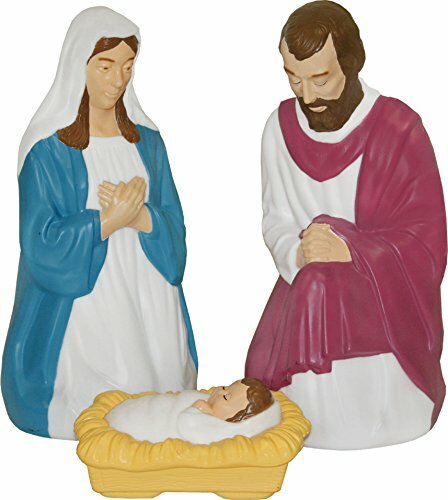 Joseph stands 28"H, Mary 27"H and Baby Jesus 14"H.
This lighted blow mold Nativity Collection Joseph, Mary and Baby Jesus from General Foam will make a great addition to your holiday décor! This product is made of durable polyresin and is built for indoor or outdoor use. During the day, the figures' pearlized finish adds a subtle glow that enhances the appearance of Jesus, Mary and Joseph. At night the nativity scene illuminates to create added interest in your holiday display. This collection looks great placed on a front porch or in your yard. This nativity scene works wonderfully for indoor decoration as well. Made in America, this General Foam plastic blow mold nativity scene will surely light up your holidays for years to come. Baby Jesus lights up with type C7 bulb and 3-foot power cord (bulb included for your convenience) and Joseph and Mary light up with type A bulbs and a 4-foot power cord. Joseph stands 28"H, Mary 28"H and Baby Jesus 13"W.
Features: -Self inflates in moments. -Weather resistant polyester. -Great for indoor or outdoor use. -Deflates and folds for easy storage. -Internal lighting for night display. -Bring a little more fun to your Christmas decorations. Decoration Type: -Inflatable. Color: -Brown/Red/Blue. Mount Type: -Freestanding. Light Included: -Yes. Light Type: -Standard. Holiday / Occasion: -Christmas. Season: -Winter. Dimensions: Overall Height - Top to Bottom: -65". Overall Width - Side to Side: -78". Overall Depth - Front to Back: -39". Overall Product Weight: -6.25 lbs. Celebrate the reason for the season with this Nativity scene. Joseph, Mary and baby Jesus feature a colorful mosaic design that is beautiful during the day, and illuminates for a glorious display at night. The three pieces are self-standing and include a 30"L power cord. PVC and iron. Baby Jesus: 12"L x 12"H, Mary: 14 1/2"L x 18 1/2"H and Joseph:16 1/2"L x 28 1/2"H.
The Kurt Adler 12-Piece Nativity Set with Wooden Stable is a classic, traditional way to add to your holiday decor. This moss covered wooden stable houses all the key figures of the First Christmas in painted porcelain. It will undoubtedly serve as a reminder of the true meaning of Christmas throughout the busy holiday season. Sizes are approximately 1"-6.5". Features: Lighted: -Yes. Quantity: -Set. Product Type: -Nativity Set. Holiday / Occasion: -Christmas. Season: -Winter. Dimensions: Overall Height - Top to Bottom: -7.75". Overall Width - Side to Side: -7.25". Overall Depth - Front to Back: -5". Overall Product Weight: -4 lbs. Celebrate and remember the true meaning of Christmas with this Nativity set from Kurt Adler. The nine figures included measure between 2" and 3.25" and the stable measures 4.5" x 7". Figures included are: Baby Jesus, Mary, Joseph, the Three Wise Men, a cow, a donkey, and a lamb. Come together as a family this year to celebrate the TRUE meaning of Christmas - restoring values back to the most meaningful holiday of the year. Display your love for our Lord with a tasteful, elegant nativity display. Assembles easily so the whole family can participate - creating both memories and traditions for years to come. 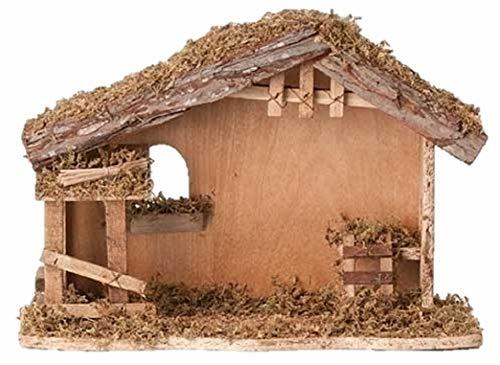 ELEGANT AND DURABLE With a simplified stable and the Holy Family at the forefront, this set depicts the miracle of Christ's birth in a new design. Additional detail to Mary, Joseph and baby Jesus help bring the set to life while still maintaining the simple "non commercial" feel of our traditional Holy Night Nativity Set. . Composed of the same base material proven durable in thousands of yards, it sends a beautiful message and is durable enough to become a family heirloom. Come together as a family this year to celebrate the TRUE meaning of Christmas - restoring values back to the most meaningful holiday of the year. Display your love for our Lord with a tasteful, elegant nativity display. 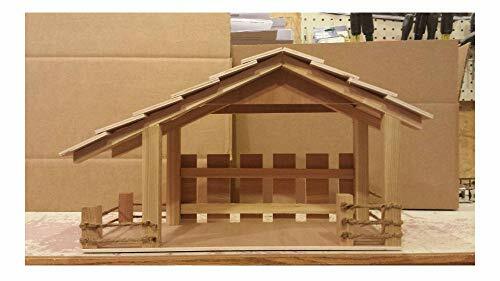 Assembles easily so the whole family can participate - creating both memories and traditions for years to come.ELEGANT AND DURABLEThe silhouette style Holy Night Nativity compliments any yard without looking overly commercial. Proven durable in thousands of yards, it sends a beautiful message and is durable enough to become a family heirloom.